Hand-crafted from sturdy calf leather, this case for wireless headphones is ideal for daily use or travel. 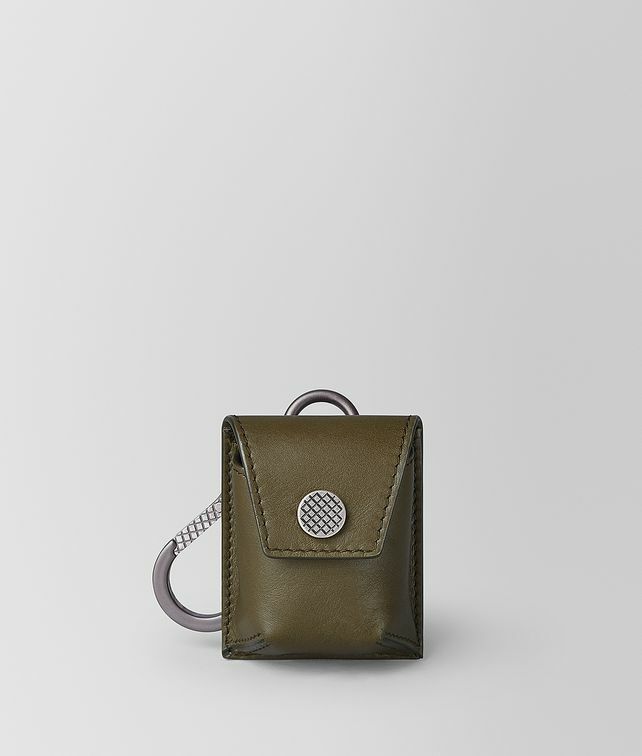 The case is finished with an intrecciato-engraved snap closure and carabiner to easily clip it on to a bag or luggage. Both luxe and practical, the case features an opening at the bottom to attach a charger. Finished with a butterfly micro-print lining.